Unrequited tình yêu. Quote from miwa's song Kataomoi (Unrequited Love). 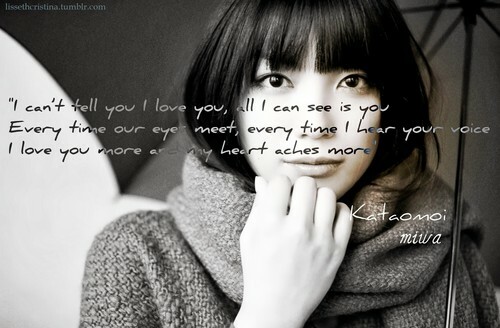 HD Wallpaper and background images in the Sad trích dẫn club tagged: song sad quote love heartbreak tragic unrequited love sadness miwa jpop. This Sad trích dẫn fan art contains chân dung, headshot, and closeup.